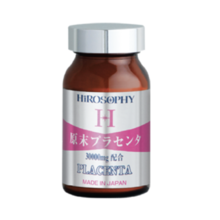 [en] The placenta said that Cleopatra and Yang Taki were also habitually The "God's placenta" and the praise of Hiro Sophie's placenta are Powder type and tablet type, two kinds of choice. 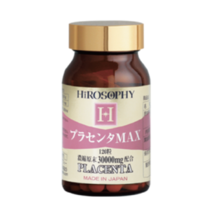 Content: 31g/About one month List Price: 9074 yen (excluding tax) Product Description Powder placenta The ultimate aging material that Cleopatra and Yang Taki also loved Basics of Aging 30000mg and compounding the placenta 97% of the bottle is raw material, 3% oligosaccharide Hiro-Sophie placenta material The raw material is the placenta of the pig, the government has strictly managed to import than Denmark, and processed domestically. (Denmark pigs are not used for antibiotics or organic feed. It is bred in a high hygiene environment than domestic pig breeding. Hiro-Sophie Placenta concentration From the placenta of the pig, the water and impurities are removed, and only 15% of the remaining pure placenta powder is used. Without putting anything superfluous, it is an absolute confidence work stuck to concentration and purity. 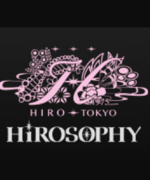 As a result of the analysis of research institutes, it has been proven that the plastic center of Hiro Sophie contains 74% of the amino acids, which are components of the growth factor. placenta max The effect of powder placenta is intact, pill type appeared! The most popular product that was easier to drink and tablets Same effect as powder placenta 30000mg and compounding the placenta The tablet type which can be easily ingested on the go, easy to drink We have prepared the tablet type by adding the minimum amount of calcium in response to customer's request that it is easy to drink "powder placenta". The same amount of ingredients are blended with the powder placenta, the effect is unchanged, it is easy to drink evolved products. Powder type is difficult to drink a little, it is very popular with customers who want to take easily when going out. Main ingredients Powder PRA Center/placenta Max Pork Placenta Extract Powder A material derived from placenta that is good for beauty and health. 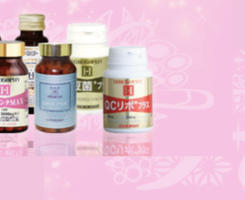 Placenta is described as a almighty material that is widely used from cosmetics to health food. [en] The placenta said that Cleopatra and Yang Taki were also habitually The "God's placenta" and the praise of Hiro Sophie's placenta are Powder type and tablet type, two kinds of choice. Content: 120 grains/approx. 1 month List Price: 9074 yen (excluding tax) Product Description Powder placenta The ultimate aging material that Cleopatra and Yang Taki also loved Basics of Aging 30000mg and compounding the placenta 97% of the bottle is raw material, 3% oligosaccharide Hiro-Sophie placenta material The raw material is the placenta of the pig, the government has strictly managed to import than Denmark, and processed domestically. (Denmark pigs are not used for antibiotics or organic feed. It is bred in a high hygiene environment than domestic pig breeding. Hiro-Sophie Placenta concentration From the placenta of the pig, the water and impurities are removed, and only 15% of the remaining pure placenta powder is used. Without putting anything superfluous, it is an absolute confidence work stuck to concentration and purity. 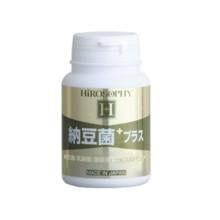 As a result of the analysis of research institutes, it has been proven that the plastic center of Hiro Sophie contains 74% of the amino acids, which are components of the growth factor. placenta max The effect of powder placenta is intact, pill type appeared! The most popular product that was easier to drink and tablets Same effect as powder placenta 30000mg and compounding the placenta The tablet type which can be easily ingested on the go, easy to drink We have prepared the tablet type by adding the minimum amount of calcium in response to customer's request that it is easy to drink "powder placenta". The same amount of ingredients are blended with the powder placenta, the effect is unchanged, it is easy to drink evolved products. Powder type is difficult to drink a little, it is very popular with customers who want to take easily when going out. 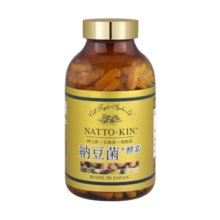 Main ingredients Powder PRA Center/placenta Max Pork Placenta Extract Powder A material derived from placenta that is good for beauty and health. Placenta is described as a almighty material that is widely used from cosmetics to health food. Product Description Recommended amount of one day = 60 Minutes of sardines. It is supplemented with nine grains if DHA Plus!